Grundy Television Pty. Ltd / 10 Network. 781 episodes x30mins & x 60mins. 1977-80. 45 (ST)	RCA. 103031. 1977. Arranged and Produced by Mike Perjanik. 1977 Mushroom Productions. Side a: “The Restless Years”. (3:40). (Mike Perjanik). (Castle). 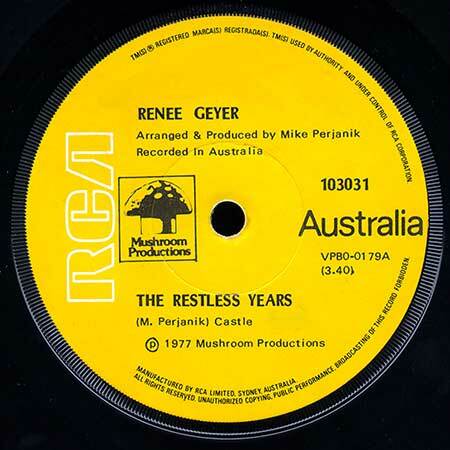 v: Renee Geyer. Side b: “Theme From The Restless Years (Instrumental)”. (2:59). (Mike Perjanik). (Castle). The Mike Perjanik Orchestra. LP(t) (AD)	EMI. EMY-507. 1981. 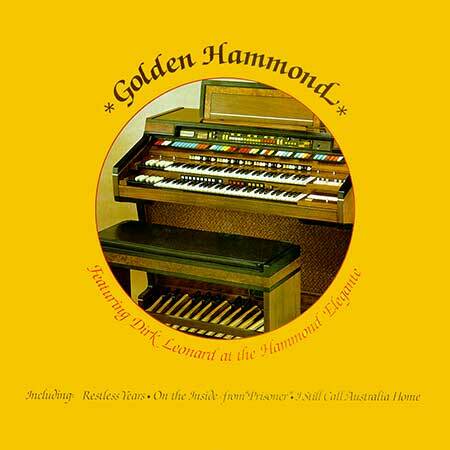 “GOLDEN HAMMOND”. With Dirk Leonard at the Hammond Elegante. Produced by Geoff Wylie. S1-Tk3 “The Restless Years”. (2:49). (Mike Perjanik). (Castle). “The Restless Years”. v: Renee Geyer. LP(t) (AD)	Trevoro. TR-010. 1983. “The Restless Years”. v: Ian Franklin. LP(t) (ST)	(See COMPILATIONS - AUSTRALIAN TV’s GREATEST HITS: S1-Tk6).